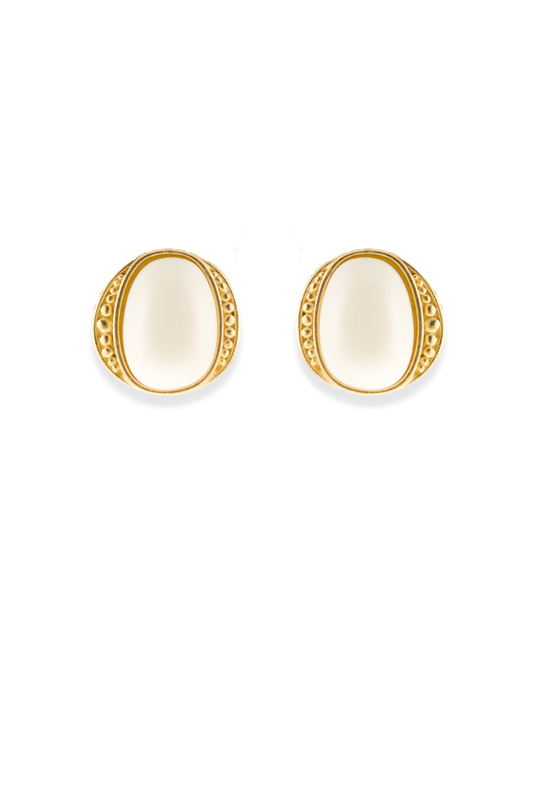 Gold-tone earrings with square-oval ivory colored cabochon. Push back paddle clip fastenig for pierced ears . Dimensions: 1" H x 1" W.